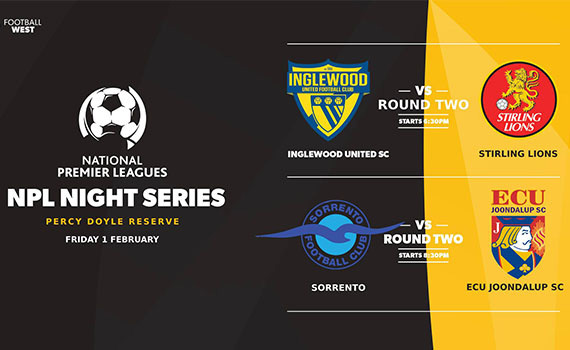 ECU Joondalup will travel to local rivals Sorrento, in week two of the NPL Night series on Friday evening. (8.30pm). Jacks assistant coach David Tough said last week’s result wasn’t one they were looking for but it’s pre-season, and all the Night Series games are a good chance for players to get ready for the opening league game of the season. “Yes, we were all disappointed to let it slip last week, but we have to put in context, it’s only a pre-season game and for 70 minutes I thought we dominated the league champions,” Tough said. “We were real pleased the way the new lads fitted in, and it was our first proper hit out of the season, so we need to build on that against Sorrento tonight. “Our main concern is the NPL opening round in March, and these games are good for match fitness and for the new players to get used to the way we want them to play.